Aamir Khan starrer Dangal has done an unimaginable business at the Chinese box office. Despite new releases, the biographical sports drama has remained rock-steady in China. 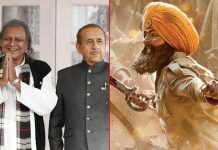 The film raked in around 16.20 crores ($ 2.50 million) yesterday (3rd Wednesday) and now stands with a total of 794.52 crores ($ 122.63 million). It will cross the 800 crore mark by today. 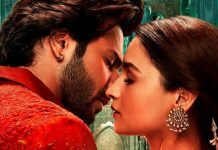 By Tuesday, according to EntGroup, the film had raked up over $116 (over Rs 753 crore), smashing the previous record of $84 million held by Japanese movie Your Name. By adding the China collections and also its Taiwan collections 26 crores, Dangal currently stands with global collections of 1564.86 crores. Dangal has already crossed 1000 crores mark in the International circuit solely. The overseas total of Dangal is now 1022.52 crores, thus becoming the 1st Indian film to achieve this feat at the International box office. 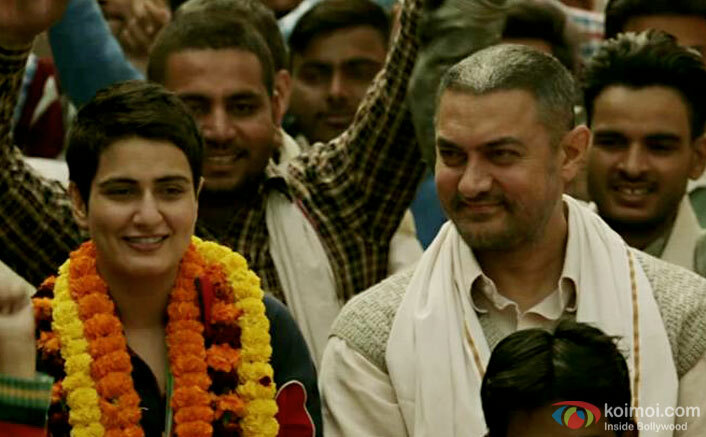 A biopic of former Indian wrestler Mahavir Phogat, “Dangal” had also resonated well with the Indian audience, generating over Rs 385 crore ticket sales upon its release in India. Aamir Khan’s upcoming films are Secret Superstar and Thugs of Hindostan. FAKE FAKE FAKE written all over it. It is unbelievable what JEALOUSY and INFERIORITY COMPLEX can do to a HUMAN. That too one who has achieved so much SUCCESS and MONEY. AMIR KHAN has already been put to dust by BB2 PERMANENTLY. And now he has lost his CREDIBILITY and RESPECT. PERMANENTLY. He just proved that public has NO REASON to believe that any of his earlier records were TRUE. And goes without saying that all his future records would have NO MEANING. In fact if he can do such a thing then I have no reason to believe that NANGA and SRK would refrain from doing this. I have nothing to do with these FAKE KHAN STARS and their SUPER FAKE RECORDS. Anyway their records have a huge contribution from MUSLIM AUDIENCE and HOLIDAYS. So they are FAKE anyway. Only MUSLIM AUDIENCE will keep JUMPING about these FAKE records. And their THOUGHTS and BELIEFS are LAUGHABLE as the whole world knows already. jealous? i can see who is jealous.. and go to china and see the facts and craze over there instead of making stories our of pure jealousy..
U r a damned bigot,still playing ur nasty religious cards over a well made film which deserves unanimois applause.by the way who do u heroworship? Fools…….china muslim country hai kya…..bhakt lagte ho…shayad tumhari galti nahi..hai…jalte raho…waise 1564 carore ho chuka hai……. 2nd chart during april 28-30 , Dangal is at 13th position COLLECTING $44,810 BUT RELEASED ON 5/5/2017. Genre: Drama	Runtime: 2 hrs. 30 min. Both films are good,and the people worked behind those movies deserves our respect,but also keep in mind,bollywood is not only the industry in Indian cinema.Every industry in India has their on place and helped Indian movies to get recognised in the International level. Instead of arguing for industries or actors,encourage good films.